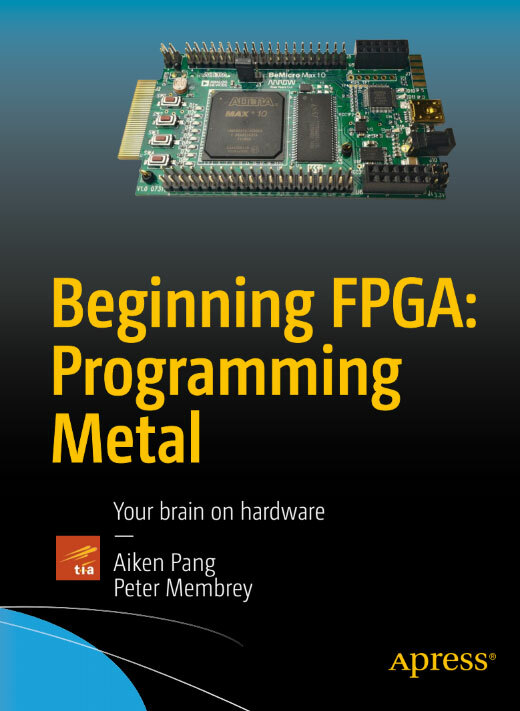 You don’t need an electronics engineering degree or even any programming experience to get the most out of Beginning FPGA: Programming Metal. Just bring your curiosity and your Field-Programmable Gate Array. In this book, you’ll be using the Arrow’s BeMicro MAX 10 (Altera/Intel FPGA), a very affordable and breadboard-friendly FPGA development board to create a light sensor, a temperature sensor, a motion sensor, and just for fun, the KITT car display from Knight Rider. Please Wait Book Content is Loading…….